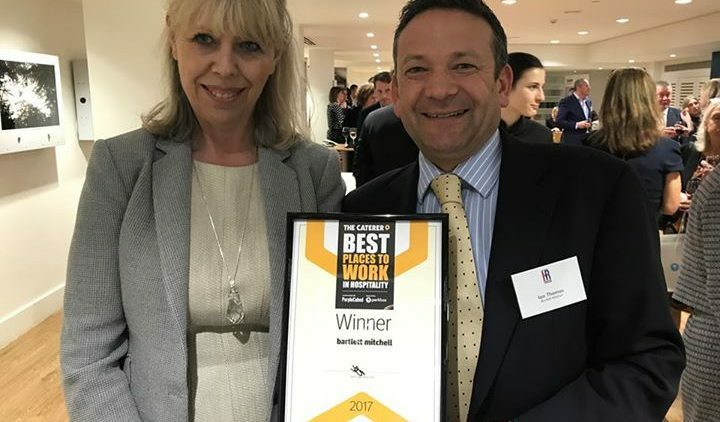 bartlett mitchell, one of the UK’s leading independent caterers, has been named as one of the Great Places to Work in Hospitality by The Caterer magazine, a leading publication focusing on the catering and hospitality industry. Based on direct surveys and feedback from employees, the company was named as one of the Top 30 businesses by the magazine, and one of the leading specialist caterers. The award follows similar recent awards presented to the business for its commitment to its people and teams. bartlett mitchell is currently an ‘Investors in People Gold Standard’ holder and was recently named as one of the ‘Best Companies To Work For’ – the fifth consecutive year it has achieved the award. Ingrid Newbould, HR director, bartlett mitchell said: “This is another fantastic achievement and really recognises the work we’ve all put into developing our people strategy at the company.